This is a straight-forward fundraiser that works for any group, organisation or good cause. What is mobile phone recycling? Well its all pretty obvious really. Old mobile phones can be exchanged for cash. Sometimes they are worth a fair bit, sometimes not very much. There are all sorts of ways that mobile phones can be recycled; and any number of companies that will want to buy it from you. The trick is to get the most money for your phone as possible. Why do people recycle mobile phones? Nearly always because they want to upgrade to a newer or better model. The whole mobile phone industry is a constant turnover of new designs and new deals. They need a constant churn of new handsets replacing old and will often use tempting deals on a new handset to entice users into particular phone operator plans. Other phones get broken or commonly the particular charger gets mislaid causing them to be abandoned and replaced. This means that many people are left with perfectly usable or repairable old phones sitting at the bottom of drawers and in the backs of cupboards quickly forgotten and destined to stay there for a very long time. What happens if you recycle mobile phones? There is an important environmental and social consideration here. Many mobile phones contain certain rare metals that have been extracted at environmental and human cost. Some production processes are not all they could be either. Remove any contact information, photos, messages etc. You may be able to transfer these directly to your new phone or computer. If not simply delete them. Remove any security codes or passwords. You can usually do this by simply clicking revert to default or factory settings. 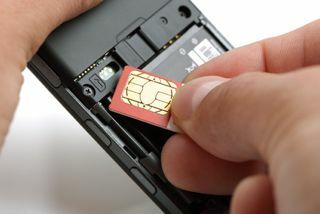 Remove the SIM card - this is the little card the size of a postage stamp that will have been inserted into the phone when you first bought it. It is the SIM card that allows you access to a phone network. Broken mobile phones - these can sometimes still have value and be repaired. At the very least they can be recycled for their parts. Do not however expect them to earn you very much. Sometimes people think that a phone, rediscovered at the back of a drawer, is broken when actually it is simply out of charge. Who will buy your old mobile phone? There are no shortage of companies. A simple Google search for recycle mobile phones will turn up any number......and all of them very keen to tell you that they are the best. These companies are usually web based so most of your dealings with them will be online. The way it usually works is that you supply details of the make and model of your phone and click the submit button. Their software will automatically generate the price they are prepared to offer you. If you accept they send you a postage paid jiffy bag or envelope in which you send them your phone. They then pay you the agreed price. You will usually get a better price recycling your mobile phone this way than any deal offered as a trade in by the company selling you a new phone or phone plan. This is another great option if you know what you are doing. Some larger charities are registered with ebay and you can have the buyer pay directly to them. Alternatively run a normal auction yourself and then pass on the cash. Ebay is also a useful place to find out an approximate value for your phone even if you intend to recycle it another way. What about the special charity deals? Many of the mobile phone recycling companies fighting for your business will make all sorts of claims about the environment and about how keen they are to help charities. Remember that these are sales and marketing techniques - these are all companies interested in making a profit. You are actually nearly always better off setting up a normal deal and simply giving the money to your good cause. Many companies will offer a percentage to your good cause. They may not offer you the best price for your phone in order to cover their administration and marketing of the scheme. There is absolutely nothing to stop you striking a deal as an individual and then personally donating any amount 0-100%. If you donate in this way you can also sometimes claim tax concessions or gift aid when paying it in which can boost the value of your donation at no cost to you. This is where a mobile phone recycling company provides your organisation with special bags marked with a pin code registered to your organisation. For some of the larger charities these might be especially branded with the organisation logo etc. Charities give these out to their supporters who use them to send in their phones. The charities usually get a a fixed amount per phone donated via their bags. This makes life easy for charities to encourage take up and they have to do little apart from register and hand out bags It is clear however that via this "hands off" method they might not receive the true value of all the phones being donated in their name. If a phone is donated in this way that is perhaps worth £30 / $45.00 the charity will still only receive the fixed fee which is likely to be considerably less. One way to make life as easy as possible for your supporters to recycle mobile phones for you is to have a mobile phone recycling drive. Choose a month and set up a number of collection points where people can drop off their old phones. Advertise your recycling drive strongly and keep people informed of progress ie 50 phones donated so far but we know you can do better. At the end of the recycling drive one person from your organisation can be responsible for getting the best price possible for all the different phones. Ok the majority of them will be the usual low value types but if you are lucky you may have a few gems too. This way you can reap the full benefit of any more valuable phones. 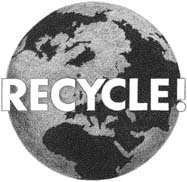 Activities such as recycling drives are not just about money either. They are a good way to bring your group and its supporters together for a common purpose. Something that should never be under-estimated. Make sure that you make a big thing of feeding back the results of your drive and thanking everyone. Your mobile phone may be useful in ways other than selling it. Some charities collect phones for use in projects all around the world. In the Global South mobile phones are a major driver of development. Some women's groups have also supplied specially converted old mobiles to women and girls at risk of domestic abuse. These phones have a button converted to send an instant text help message. 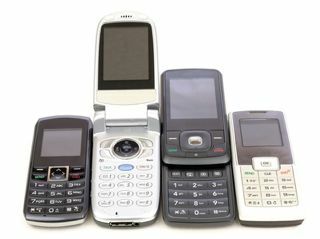 Schemes to recycle mobile phones are a great way to raise funds for any group. There is no shortage of phones out there just waiting to be put to use once more. Time to make sure that some of that cash ends up with your organisation!